I am certain I have not so successfully combined my three favorite activities prior to this week: drinking champagne, shopping and doing something good. 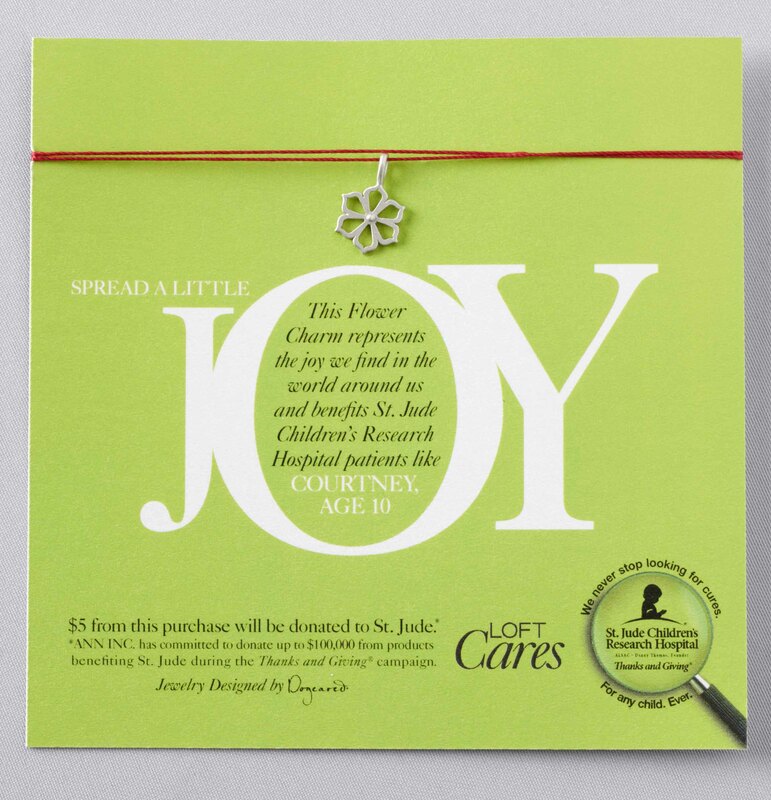 LOFT and St. Jude Research Hospital for Children hosted an event to preview the LOVE, JOY and HOPE charms available at the store Dec. 5 and benefitting the young patients of St. Jude Hospital. Trumpeting Media–Suzanne Chan (Mom Confessionals), Nancy Johnson Horn (The Mama Maven) and Esti Berkowitz (Primetime Parenting)–co-hosted the event, which introduced bloggers to these meaningful lovely charms, fantastic LOFT discounts and a very swanky shopping session. 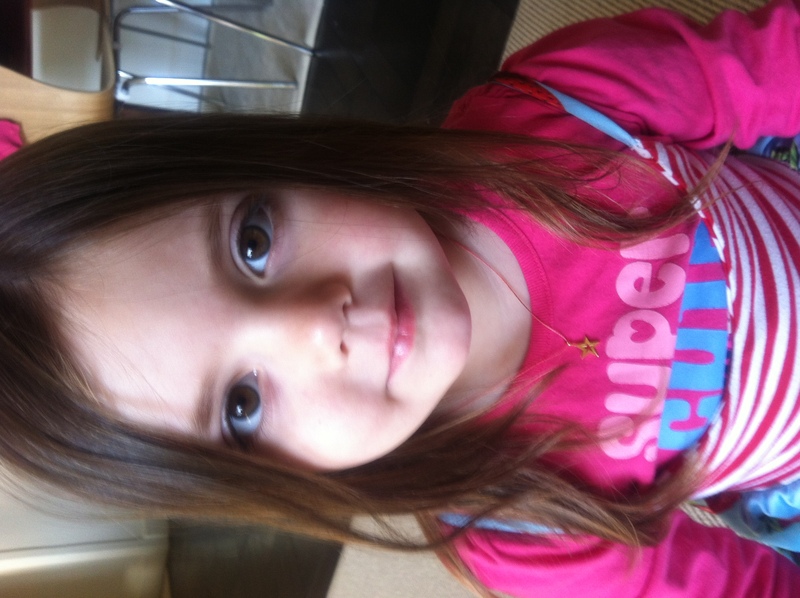 I bought my four year old one of the charm necklaces and explained to her how part of the money was going to help children in the hospital. I imagine it is difficult for M to get that concept–as it was difficult for me, at the event, to meet a mom and her gorgeous little girl who has leukemia. This marks the fifth year that ANN INC. is participating in the St. Jude Thanks and Giving campaign. Please support their efforts this season by doing what feels very natural for us: “Give thanks for the healthy kids in your life, and give to those who are not.” We are so grateful for our healthy, active, crazy children; we are so happy to be able to support St. Jude Hospital’s remarkable and life-saving work. I received no compensation for this post. All opinions are my own. Thank you so much for coming and we loved your post! !